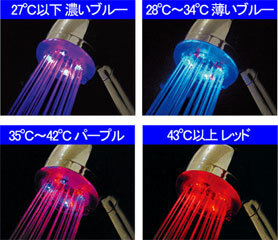 We've talked about showers that light up many times, but this shower is different. You see, it's powered by the water coming through the head and changes color in response to the water temperature. No wires to run, no batteries to change—just sweet LED light bathing you while you bathe. It's about $105 in Japan, and there it shall ever stay.